I took a quick trip up to West Virginia yesterday to check out the fall foliage. 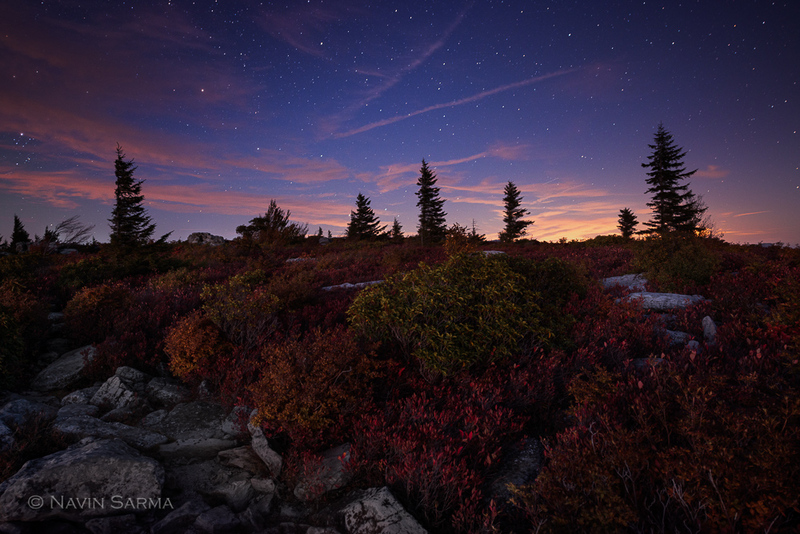 Normally, peak fall foliage in Blackwater Falls State Park, Dolly Sods Wilderness, and Bear Rocks tend to be at the end of September and early October. This year it seemed to have come a little early. Although most of the trees are still quite green, there are some nice pockets of foliage in Canaan Valley and Blackwater Falls. Dolly Sods trees are still quite green, but the bushes are peak red at this point!